State Bank of India is the leading player in the Banking Sector of India. It is the largest bank in the country with 24000 branches and 59000 ATMs. For its excellent banking services, more than 420 Million customers trust the bank. Do you have an account with SBI? 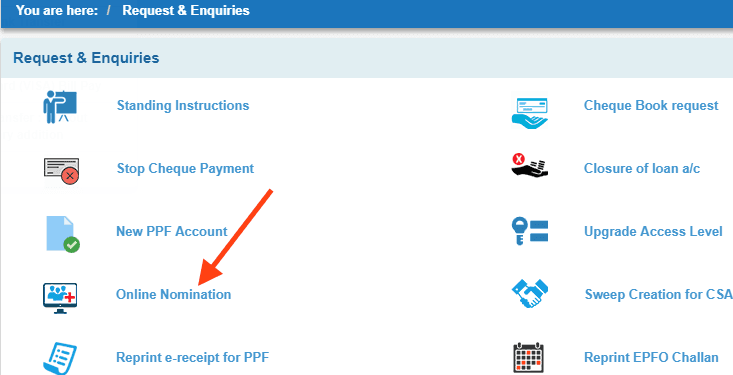 While opening the new Sbi account, the customers get an option to add a nominee. Have you added a nominee? If you skipped adding nominee while opening the account, you could add one at the later stage. You need not visit the branch and fill up the form to add a nominee. You can register a new nominee online in through SBI net banking. Step 1: To avail the facility, you must have active Internet Banking services for the account. 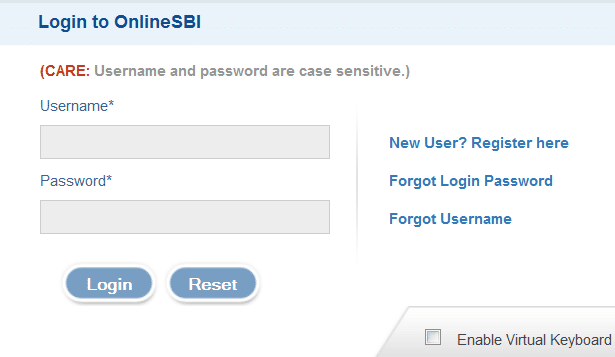 Visit SBIs Internet Banking portal https://www.onlinesbi.com and login to your Internet Banking account. Step 2: Once you log in to the account, select Request & Enquiries tap from menu. Step 3: Form the list of different services, select Online Nomination featured on middle of the page. Step 4: If you have multiple accounts, the page will display the accounts. 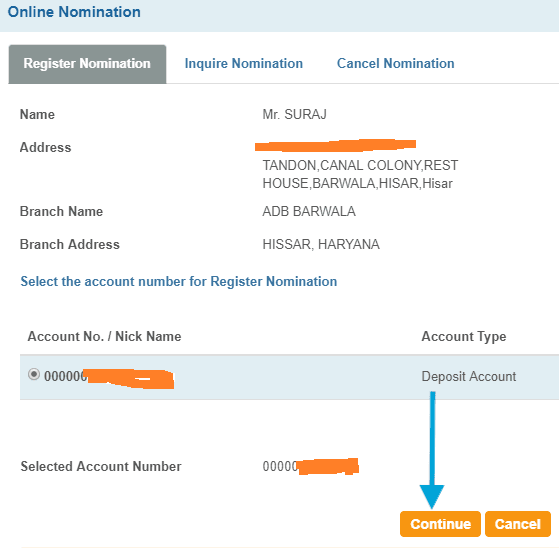 You need to select the account for which you want to add a new nominee. Important note: If the account has an existing registered nominee, the screen will display 'Nomination is already registered for this account'. If you want to change the nomination, you need to cancel the current nomination at first and register the new nominee. 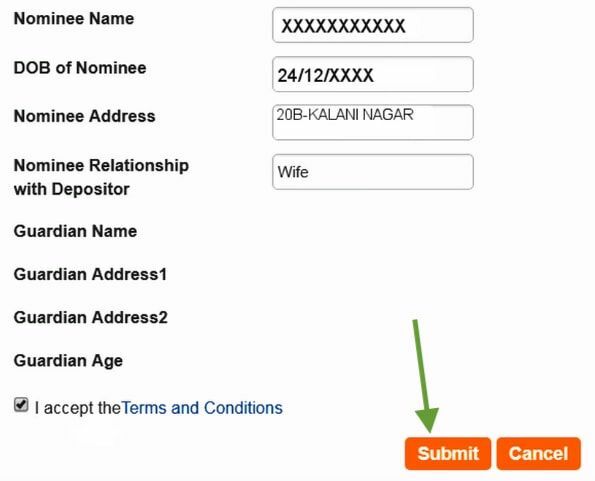 Step 5: You need to enter Name, DOB of Nominee, Address and Nominee Relationship with Depositor and other credentials of the nominee in the provided boxes. Entering the credentials, click on Submit button to register the new nominee for the account. Step 6: High security password will be sent to your registered mobile number. Enter that password and click the confirm button. Note: If you want to change the registration and add another new nominee, you need to select Cancel Nomination and add the new nominee. Adding Nominee is essential for every account holder. The facility of nominee allows the account holder to nominate any individual who will be able to claim the deposits in the account in case of account holder's death. The nominee will be able to claim the deposits, providing required documents proving the account holder's death. The bank releases the account deposits to the nominee without demanding any Letter of Administration or Court Order or any Succession Certificate. 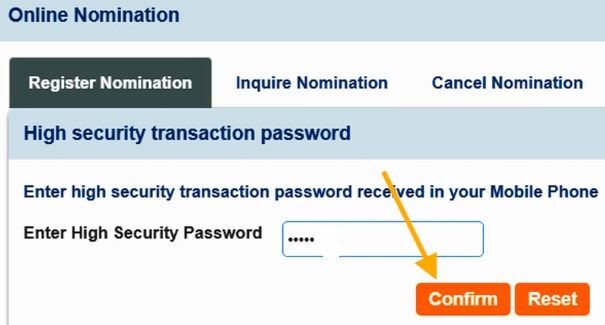 If you haven't added any nominee to your account, add one following the simple steps. You need not visit the branch and waste your time in filling up form.